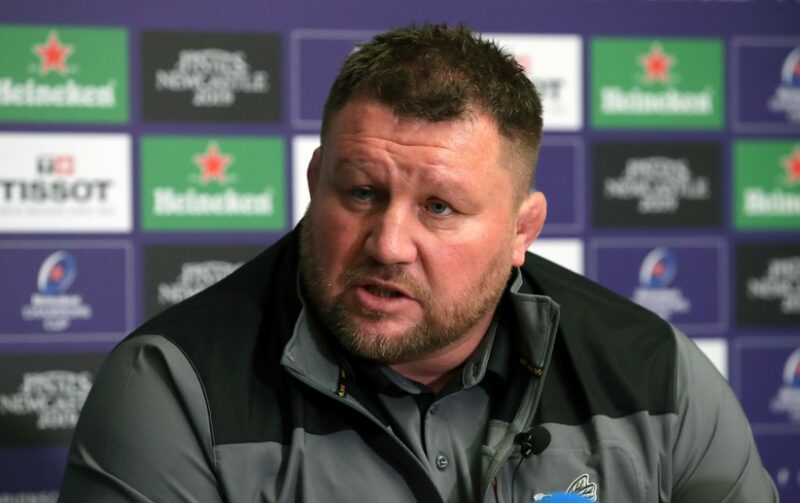 A record defeat for Wasps in Europe is going to make it a difficult task for Dai Young to take any positives out of such a thrashing. Wasps, for all their battling and admirable defence in the opening 40 minutes, shipped six second half tries as they couldn’t hold out the Leinster juggernaut for any longer. One of the biggest problems for Young and his Wasps side was ball retention. Leinster has 71% possession and 75% territory throughout the 80 minutes – when you give a side like Leinster that much ball in prime real estate, your asking for trouble. And that’s what transpired. Leo Cullen’s side cut through their English opponents with ease once they broke their spirit – as most an unrelenting performance as you will likely see this season, at any level. Young, when he spoke to the media after the game, lamented his side’s inability to keep possession of the ball. “I was disappointed with the way we fell away in the last 20 minutes but I can understand why we did. Our biggest issue tonight was obviously possession, when we had opportunities to keep hold of the ball, we just kept on turning it over. You play against a team like Leinster, you keep turning the ball over, you keep giving them opportunities to attack you, at some point, you’re going to run out of juice. “They’re too good a team to think you can defend against them for long periods,” Young continued. Young told the gathered media that not many teams will come to the RDS, face a team like Leinster put out tonight and come away with victory as he compared the eastern province to being similar the Irish national team. “You spend a lot of time analysing and looking for weaknesses and there’s not too many, pretty much. It’s pretty much the Irish team isn’t it really? And they haven’t done too bad of late have they really? You know it’s a hard day at the office and if you’re anything less than perfect, this is the type of team that can cause you problems. A lot of improvements will be needed for Wasps to get their European campaign back on track – they host Bath at the Ricoh Arena next Saturday.